How to keep out of Mischief on the School Holidays! I am absolutely gobsmacked when I hear mums gripe about school holidays. I heard one mother at school ask why ‘they’ do it to us? As if schools are completely responsible for making holidays a negative or a painful experience for us parents. Are school holidays really that traumatic for some parents? Everything in me wanted to answer this mother’s question of why, but I felt to stop myself. You see, I am a mum on the opposite side of the spectrum. I love school holidays. I love the adventure of planning our days, and working out how we can best spend our time. I want the kids to have fun, but also go back to school for the next term feeling renewed and refreshed. Its balancing our time with rest, and our time with the budget! Its the September Holidays, the sun is out, Spring has sprung and even though there is still a little chill in the air – it is officially time to put the winter woollies away and bring out our winter white arms and legs and wear some summery items so we can start working on our summer glow. This post is a guide to help you enjoy your holidays, and keep you out of mischief! The emphasis for these holidays is Fun. Its time to have some fun. We have already locked in a few catch ups with friends over the holiday period, but this holiday period we are going to have some fun, create some memories, many kodak moments, enjoying our time with one another, and basically see what we can get up too. Someone recently asked why I am get so excited about the kids being on holidays and its simply this. As parents, particularly when our children go to school, we have windows of opportunity and within those windows of opportunity we need to build and strengthen our relationships with our kids. Obviously we can find opportunities through out the school term – but it seems a little harder when you are stuck in school routine mode. Holidays are the perfect time to get out of our routine and shake it up a little. * Organise a bbq at the beach…it doesn’t have to be a gourmet bbq experience, but it can be if you would like it to be. This is something you can do multiple times – at all different beaches or parks, AND always bring a ball to kick around. * Set up the tent and camp in the back yard! I’m not really a camper but we have a tent and the kids have decided that they would like to at least camp in the back yard. I don’t really have an issue with it – and it could be fun, but I do hope that I can sleep in my own bed. * We love to explore new areas, so we will pack a lunch, jump in the car and go to an area of the coast where we will explore and have lunch. This holidays we would like to check out the area of Sandgate – North of Brisbane. Partly because scoopon has a deal on hiring a paddle board for an hour…..$9 each. Also the Sandgate pool is an old family favourite from when I was a kid….and its an obvious must do to end the day with fish and chips on the beach front. * Have a Hinterland Day. At some point in every holiday we venture to the Sunshine Coasts hinterland region. Maleny is my absolute favourite area, but then when we get to Montville I have changed my mind and I think that Montville is the bees knees of hinterland exploring. All we know is that its fun to go and check out whats new and happening in the area. * Jewellery making….Most holidays, now the girls are getting older get out the box of beads and what not and make themselves either a necklace, footlet or a bracelet. Its fun to see how they improve from holiday to holiday. * Baking Day…..For some reason everyone whinges about hunger pains a little more often over the course of the holidays, so we spend at least one day baking so that we can fill the freezer with healthy goodies for our trips around the place. * Bike riding, and or roller blading at Kawana Lake with the kids. * Making sludge. I know. I thought this would be one of the last activities they would want to do. But no. The excitement was too much to watch. I would love to thank the elderly couple at the Surfers Paradise Markets who introduced my children along with thousands of others to the concept of sludge. I will share the recipe on my blog at a later time for those who are interested in making this aweful consistency. I must say that I will be pushing this activity to the end of the holidays to see if we can avoid it. * The Keetley Spa . I believe in teaching our kids how to look after their skin. Its incredibly important for kids to understand that they need to spend the time to look after their skin – no matter their budget. We have either a morning or an afternoon every so often where we put on a mask, do our nails, have a shower and I give them all a 3 minute massage. They think its great, and once they have all been masked up, massaged and showered its time for a movie marathon where they can have popcorn and a milk shake. If they are lucky they can have an ice cream while watching their favourite flicks. Everyone feels great. * An Op Shop Crawl. The idea is to start in Noosa, and find all the stores on the way home. Its quite fun…can be an expensive day, but the priority is to only buy what we need and window shop. We always find a park to have our Byo lunch….I hate buying food for lunch – its always way over priced, and not always that nice. 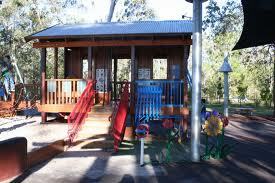 Last time, we ended up at a park over looking the river in Tewantin. * A Playground Crawl. This is one of the kids most favourite things to do. The idea is to stay at each park anywhere from half an hour to an hour, we work out online before we go a plan of where we will start and a direct link to each park we are going to visit. This is an activity that can literally last an entire day depending on how many parks you might visit. Enough food and water is crucial for this activity – but it is a lot of fun. * Heading to the Markets. I particularly love the Twilight markets. We have one up at Mooloolaba each Friday evening, but if we are going to compare Twilight markets – the best ones I have seen so far, are the ones along the stretch at Surfers Paradise. If you haven’t been to these, and you love markets – then the Surfers Paradise markets are definitely the ones to be at. 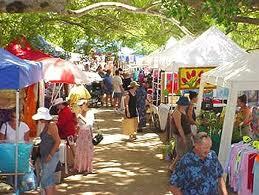 There are many types of markets on the Sunshine Coast. Each one has a different feel to it, but the ones I love up on the Sunshine Coast are the Original Eumundi markets, the Fisherman Road ones (Buderim), The Cottontree markets (Main street of Cotton tree on a Sunday morning), the Currimundi markets (Currimundi, school on a Sunday morning), The Bulcock Street Markets in Caloundra main street on a Sunday morning). We also have many specialised markets such as the Sunny Coast Baby and Kids markets that happen at different venues across the Sunshine Coast. If I have left any out, please let me know. * These are some of our holiday ideas for this coming holidays. I just read on scoopon that you can buy vouchers for the kids to learn to sail ($7 each) – it might be on the Gold Coast, but that throws us another fun element to our day. A long day – but a memorable and fun day. I need to say that its really important to think outside the box. Obviously activities such as going to the movies, skating, play centres, putt putt golf, all cost money and when you have more than one child, you might find yourself choking at the cost of some of these activities when you need to multiply the cost by 4 or 5. * Over the holidays we will all venture down to Brisbane, Amy has an appointment with her specialist, so because it is an early appointment, we should be out of there by 10 to 10.30am. I noticed that on the Great South East show a couple of weeks ago, QUT has some interesting activities happening. At the moment they have ‘Once around the Block’ – The Cube. * There is a vintage warehouse in Northgate, called Grand Ideas, I would love to see – maybe not this visit down to Brisbane, but it is definitely on the list of ‘Keetley To Do’s’. Another Brisbane activity that we love to do is to park at either Toombul or Albion Station, and catch the train into either the city or Southbank Parklands. I am sure there are many places in Brisbane worthy of a look. There is so much to do in Brisbane through out the holidays, its really a matter of finding what you would like to do first. A great website to look at is the Visit Brisbane website, it details many of the activities happening across the city of Brisbane. * One thing the kids have always loved to do on a Summers evening is to either catch a ferry or a City Cat. The night is lit up by the lights of the city and you can only imagine how beautiful the Story Bridge is at dusk. Well worth the trip down to Brisbane. Well we certainly are going to have an interesting and fun September holidays. I’m not exactly sure how we are going to fit all these activities in – but we are on a mission to have fun – so at least we have some ideas. The only question I have at this moment is what do we do first? I think I need at least an extra week to accomplish all the things we would like to do on these holidays. What are you planning to do on your school holiday? I would love to know so that I can add them to my list! Ideas broaden your horizon and give a smile to your experiences, so if you have any ideas – please don’t be shy to contact me as I would LOVE to hear from you! ← Living your Best Life – Nobody has it altogether!